Between rising ingredient prices and food watchdogs agitating over public health concerns, many food brands are shrinking their portion sizes. But according to data from YouGov, food brands that cut their portion sizes by 15 per cent could risk losing up to 35 per cent of their customers. The Portion Sizes and Health report shows that 13 per cent of consumers would stop buying a product that had shrunk by 5 per cent; a further 22 per cent would do so for a product downsized by 10 per cent. 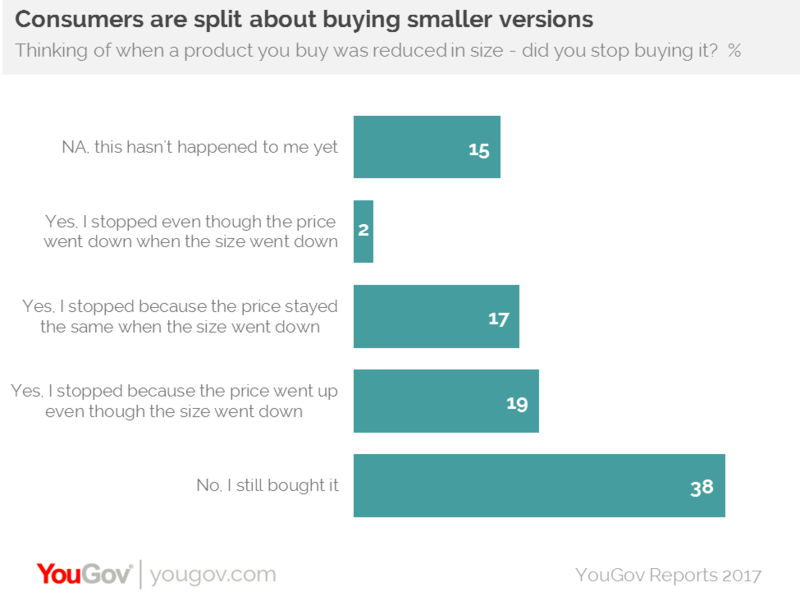 YouGov’s study investigates the issue of food ‘Shrinkflation’ (whereby the price of a product remains the same as portion sizes get smaller) and finds that companies risk losing customers due to product size decreases. When faced with the choice, consumers would rather pay more than see their favourite products shrink. Almost half (46 per cent) say they would prefer a price increase and the size stayed the same, while 36 per cent would favour the price to stay the same but the portion to decrease. However, the public is split over how they have reacted when products shrunk. Although approaching four in ten (38 per cent) say they still bought a product when they knew it had been reduced in size, almost one in five (19 per cent) stopped buying when the price went up and the size went down, and 17 per cent didn’t buy because the size went down and the product remained the same price. 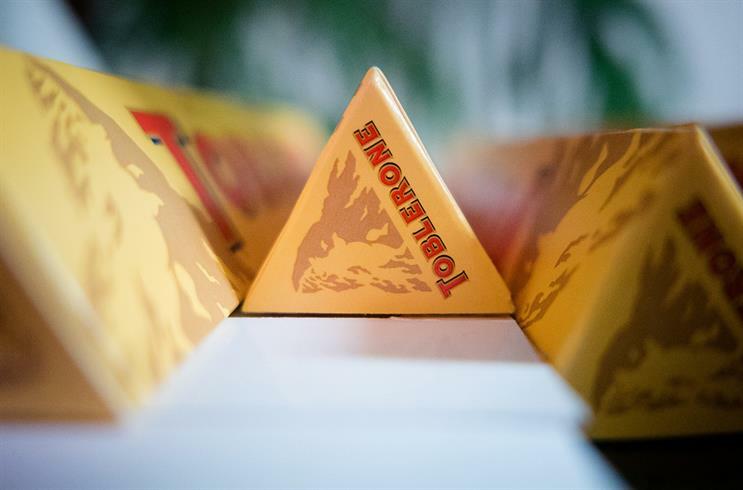 The reaction to the news that Toblerone had shrunk the amount of chocolate in its product was met by a mixture of bemusement, confusion and frustration by consumers – but the brand is hardly alone in adopting this approach. YouGov's data indicates that these companies are treading a fine line. Consumers will only accept a certain degree of downsizing before they look elsewhere, and would rather pay a bit more in order to preserve the portion sizes they have now. Includes the weekly magazine and quarterly Campaign IQ, plus unrestricted online access.